A: You will need flexible soled trainers or walking shoes – ideally waterproof but this is not essential. Clothing needs to be suitable for the weather, something you feel comfortable moving in, and it is always a good idea to wear layers. In the winter months, a waterproof jacket, mittens and hats are a must. If walking after sunset, hi-vis jacket or a vest, and a headtorch are advisable for safety. A: It is always a good idea to carry a water bottle, and of course any medication you may need, i.e. asthma inhalors. Some people carry their personal belongings in a rucksack, others opt for sports bum-bags. Handbags and across the body bags are best left at home as these will get in the way of the poles. A: No. Trekking poles do not have the correct handstraps to allow you to gain the required forward propulsion. Trekking poles also generally do not have an angled rubber paw for use on hard surfaces. 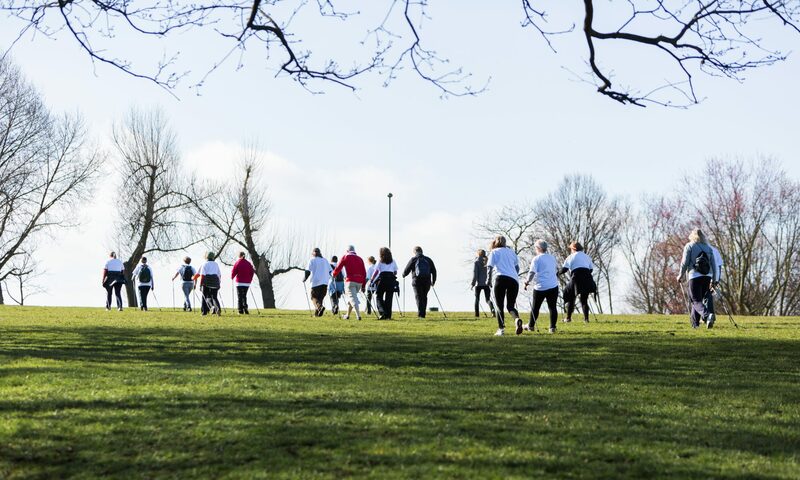 A: Attending a beginners’ course is a must as there is a lot more to Nordic Walking than meets the eye. It generally takes four sessions for people to become really familiar walking with the poles, but this depends on the individual. 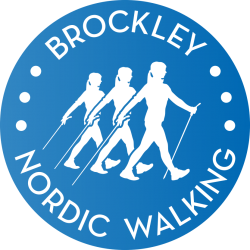 Some people learn the correct, safe and effective Nordic Walking technique in just a couple of sessions. If you cannot make the course dates, you can also book in for one-to-one sessions with Laura to suit your schedule.